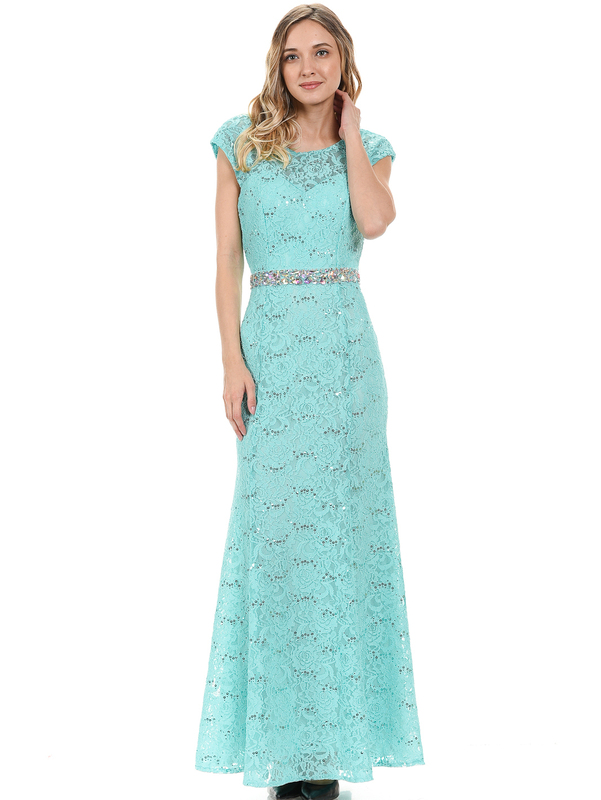 Cap Sleeves Long Evening Dress | Sung Boutique L.A. 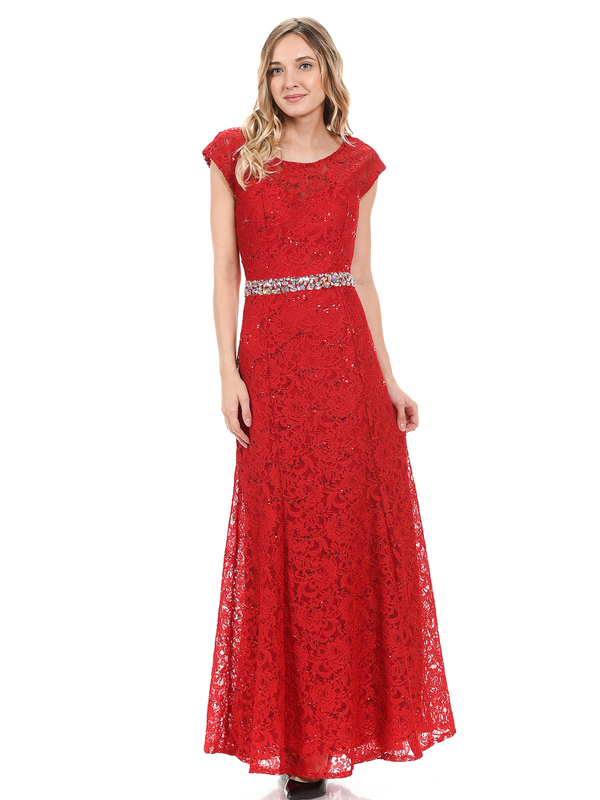 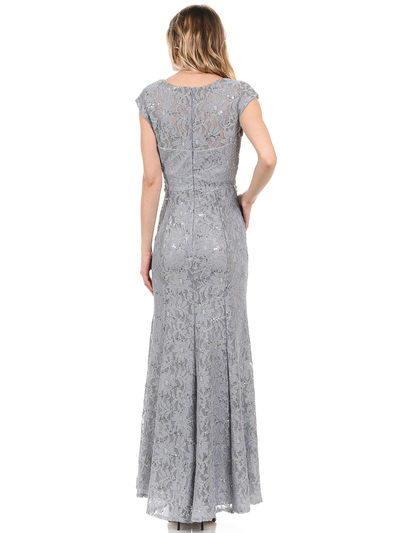 Simple and elegant long evening dress features sparkling sequin twinkled throughout the lace overlay floor length evening dress. 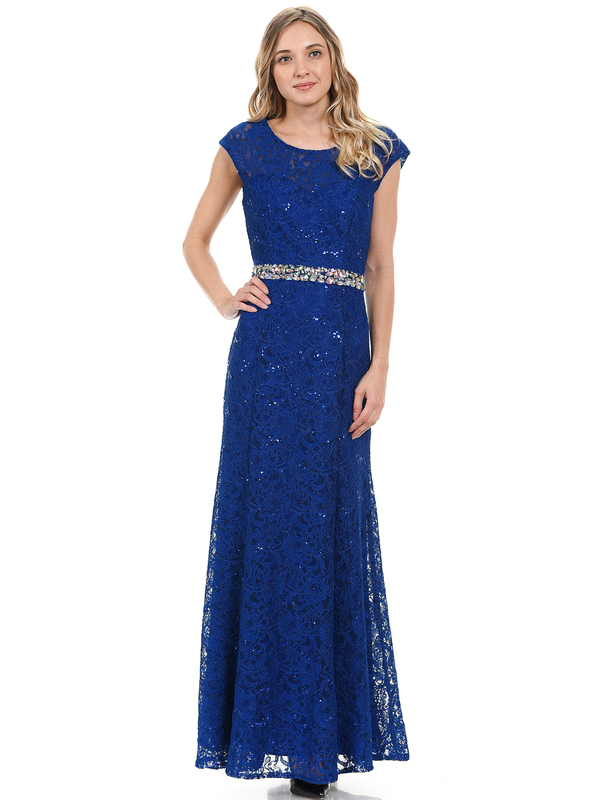 Sparkling beads adorn the waist .